During the second day of the 10th Clinton Global Initiative (CGI) Annual Meeting, President Bill Clinton, Former Secretary of State Hillary Rodham Clinton, and Chelsea Clinton announced new Commitments to Action that will address pressing global challenges. Speakers discussed the importance of valuing social and environmental efforts, innovation in a rapidly urbanizing world, and education to employment pathways globally. •	Featured speakers included: Reem Al Hashimy, Minister of State, United Arab Emirates; Uridéia Andrade, Alumna, Gastromotiva; Mary Barra, Chief Executive Officer, General Motors Company; John Chambers, Chairman and CEO, Cisco; Emmanuel Chiezie, Project Co-ordinator, Dr. Aloy & Gesare Chife Foundation; Gesare Chife, Executive Director, Dr. Aloy & Gesare Chife Foundation; Matt Damon, Co-founder, Water.org; David Hertz, Founder and CEO, Gastromotiva; Nicholas Kristof, Columnist and Author, The New York Times; Jack Ma, Executive Chairman, Alibaba Group; Nisreen Mitwally, Alumna, Education For Employment (EFE); Ngozi Okonjo-Iweala, Finance Minister Federal Republic of Nigeria; Mohammad Parham Al Awadhi, Co-founder, Peeta Planet; Peyman Parham Al Awadhi, Co-founder, Peeta Planet; Ashish Thakkar, Founder, Mara Group, Founder, Mara Foundation; Darren Walker, President, Ford Foundation; Gary White, CEO and Co-founder, Water.org. •	President Obama discussed how the Administration – in partnership with other governments, non-governmental organizations, and the philanthropic community – is deepening its commitment to defend and strengthen civil society globally. •	CNBC hosted a CGI Conversation asking “Do Consumers Care” which was streamed live online and will be part of a CGI special on CNBC. Becky Quick, Co-anchor, Squawk Box, CNBC, moderated conversations with President Bill Clinton; John P. Bilbrey, President and CEO, The Hershey Company; Lisa Jackson, Vice President, Environmental Initiatives, Apple; Tony James, President and COO, Blackstone; Hugh Grant, Chairman and CEO, Monsanto Company; Antony Jenkins, Group Chief Executive, Barclays; and Penny Pritzker, U.S. Secretary of Commerce, U.S. Department of Commerce. •	Fareed Zakaria, Host, Fareed Zakaria GPS, CNN moderated a conversation with Chelsea Clinton, Vice Chair, Clinton Foundation; Paul Farmer, Co-founder and Chief Strategist, Partners in Health, Kolokotrones University Professor, Harvard Medical School; and Augustine Kpehe Ngafuan, Minister of Foreign Affairs, Liberia about the emerging Ebola crisis and the global response. The session closed with a one-on-one conversation with Shimon Peres, Former President of the State of Israel. •	Ambassador Gianna Angelopoulos was joined by President Clinton to announce the CGI Mediterranean meeting, to be held in Athens, Greece in June 2015. 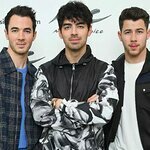 •	President Clinton announced a new commitment made by The Alliance for a Healthier Generation and the American Beverage Association to reduce beverage calories consumed per person nationally by 20 percent by 2025. •	Secretary Clinton and Chelsea Clinton announced the Elephant Action Network, which includes 21 different commitments made by 16 individual organizations, which reach 58 different countries and touch upon three programmatic pillars: Stop the Killing, Stop the Trafficking, Stop the Demand. •	Concluding the evening, regional business school finalists pitched their solutions to address non-communicable diseases in urban and peri-urban communities to a panel of judges at the Hult Prize Award Dinner. 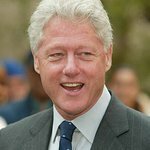 President Clinton announced the winning team, NanoHealth, which will be awarded $1 million in start-up capital for their proposal to use innovative technology to create micro-insurance health networks for slum dwellers.